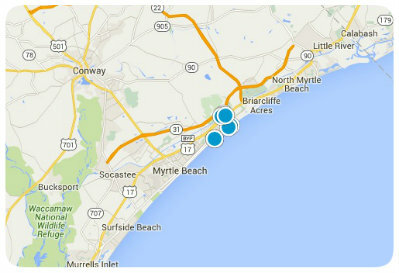 Carolina Forest, located between historic Conway and the Sun Fun City of Myrtle Beach, is the newest and fastest growing communities in Horry County. When complete, it will be home to more than 20,000 single families. The Carolina Forest area boasts shopping, a variety of restaurants, medical facilities, banks, grocery stores, post office, golf courses, churches and schools. It is surrounded by the beauty of nature that has been preserved for the enjoyment of its residents. 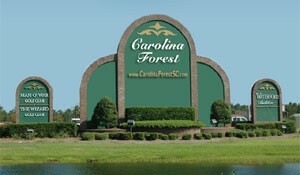 Carolina Forest offers a wide variety of neighborhoods that is sure to meet any home buyers needs.